Based in London, IDWE are a well established leader in mechanical and electrical services. After being repeatedly told by happy clients (who wanted to promote them because of their fantastic service) that they needed a new website, we were commissioned to create a website for them which reflected the quality of their work. After an initial consultation in London with our client, it was determined that a website and a corporate folder with inserts would be the most appropriate way to market their business. These needed to highlight their expertise in the industry and make it clear to potential new customers the range of services offered. 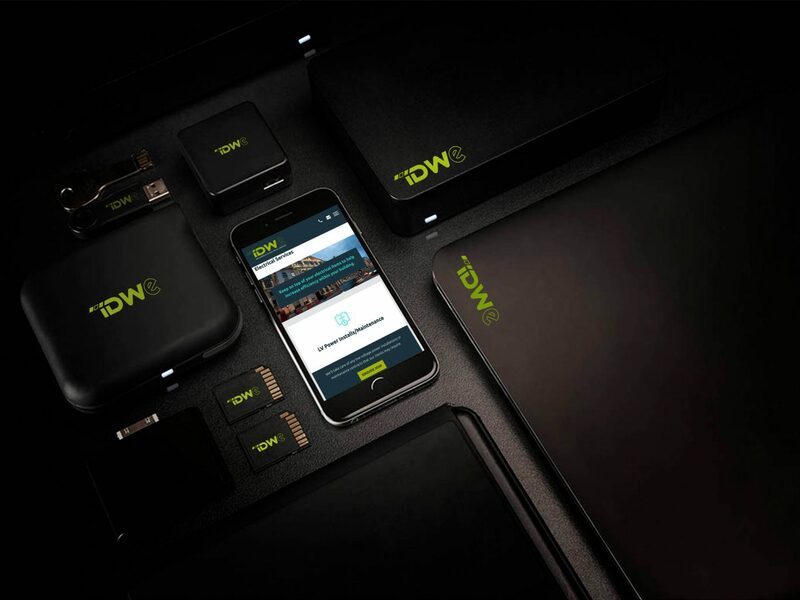 The key features of this website were to tell potential customers of the services that IDWE offer. This was achieved by using a colour-coded system where each service was given a colour to differentiate it from the others, e.g. blue was to be used across the electrical division. 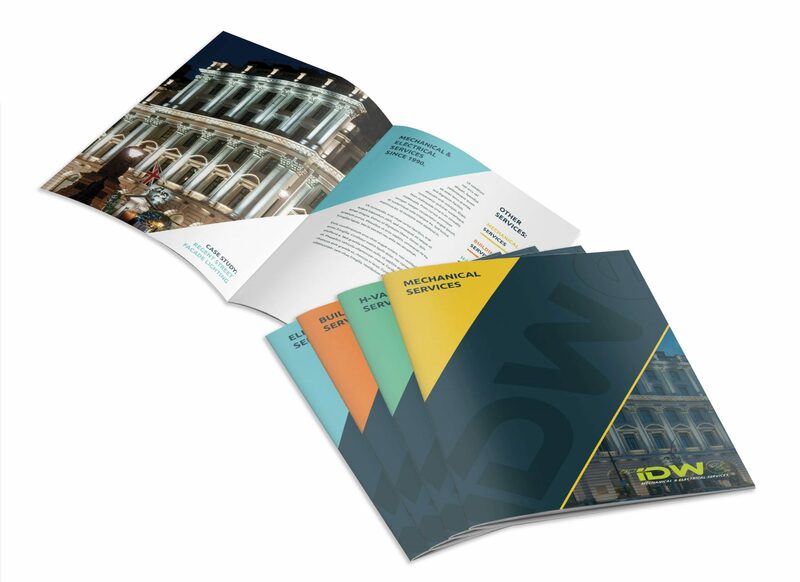 IDWE offer a vast array of services, from simple maintenance of buildings to the project management of the London Christmas lights on an annual basis, which this new website had to get across to existing and potential new clients. 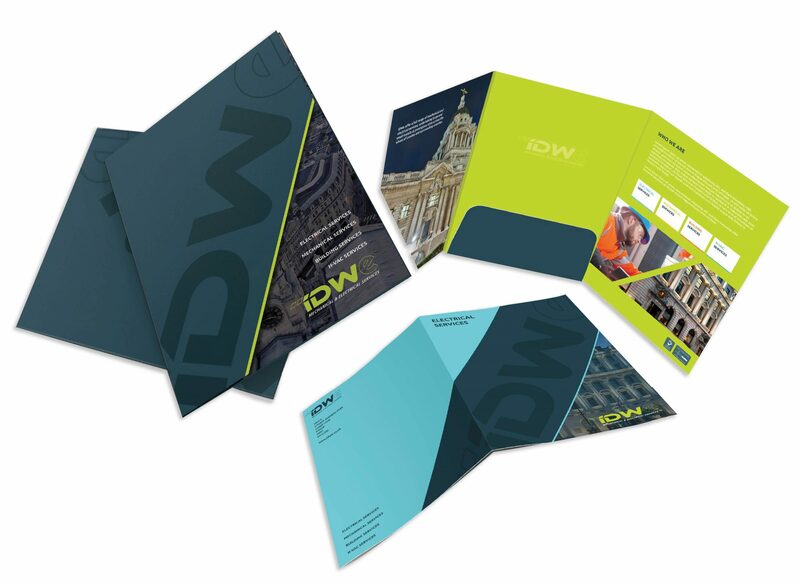 It was evident that the company required print materials in order to showcase the vast range of services that they offer and what better way to get this message across than to design and print a high quality, glossy corporate folder with inserts that incorporates spot UV, making a fantastic first impression to any customer it was put in front of.